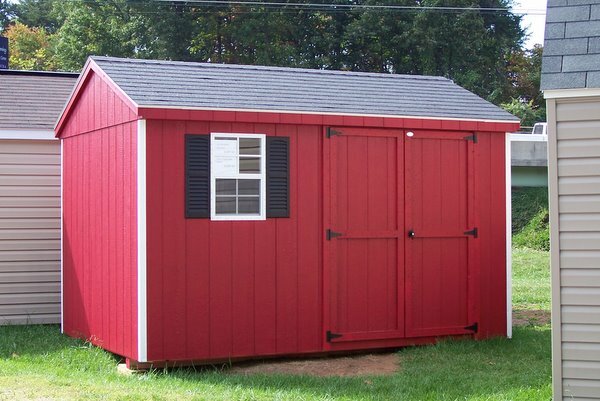 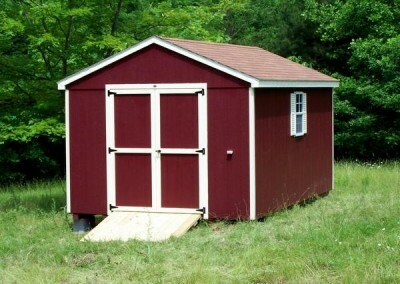 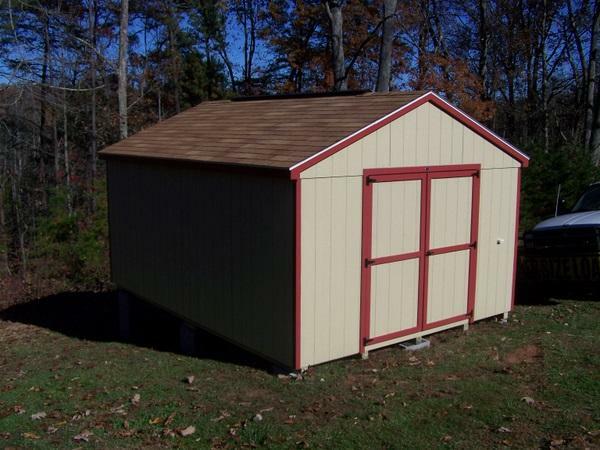 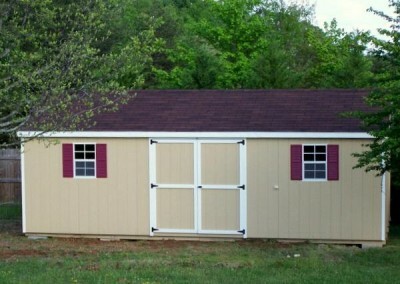 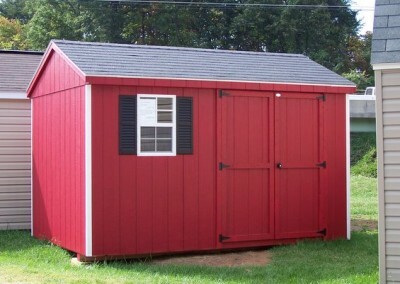 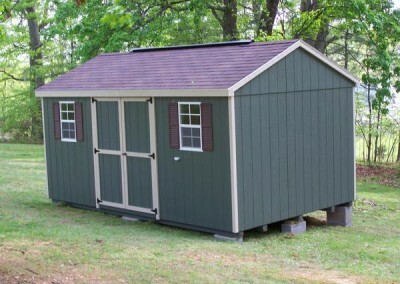 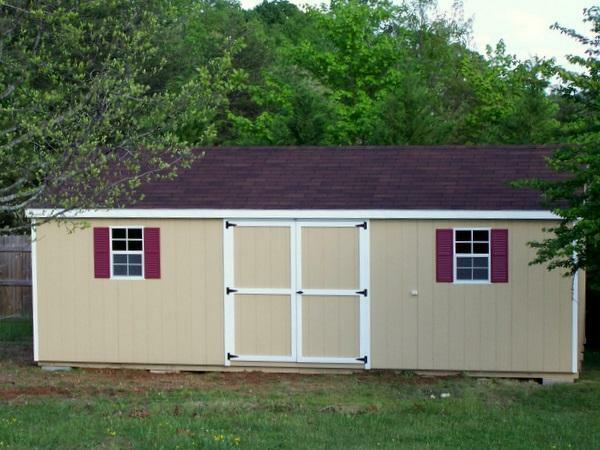 A red painted 8×12 shed with a shingled roof. 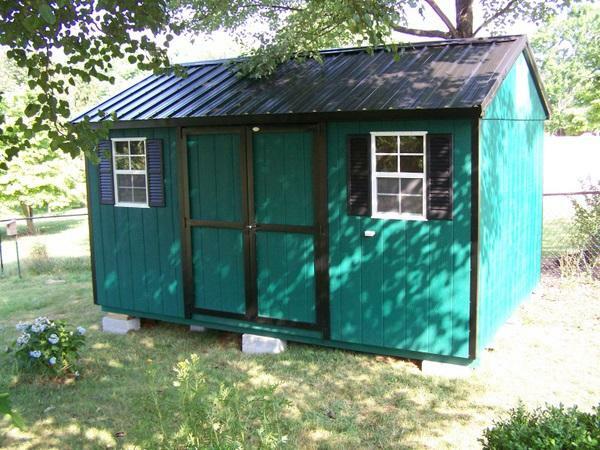 Shed has one window with shutters and a solid double door. 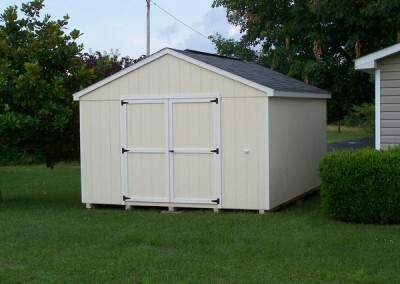 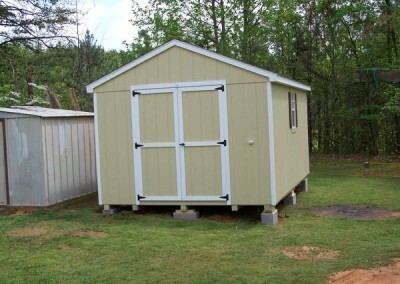 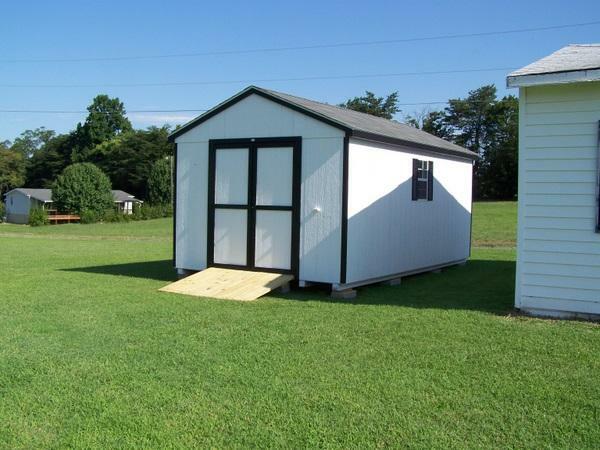 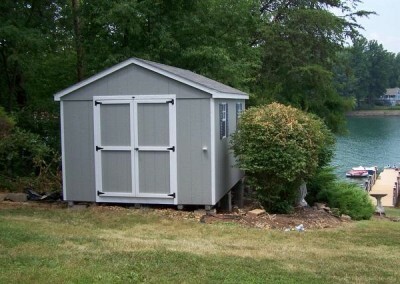 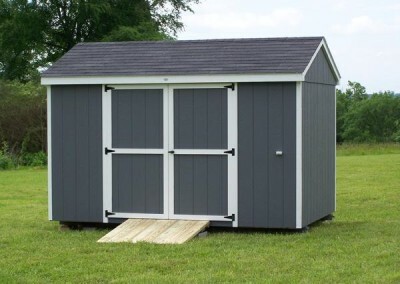 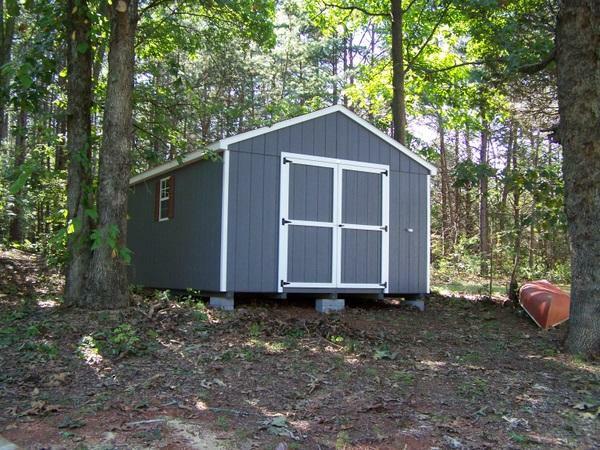 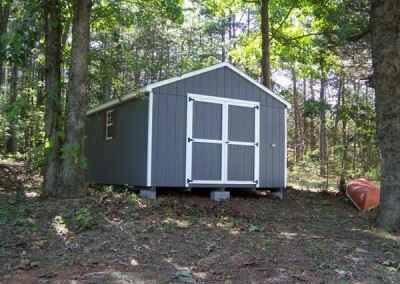 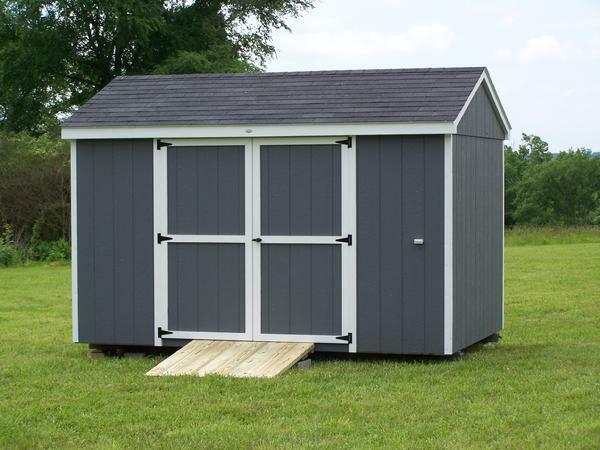 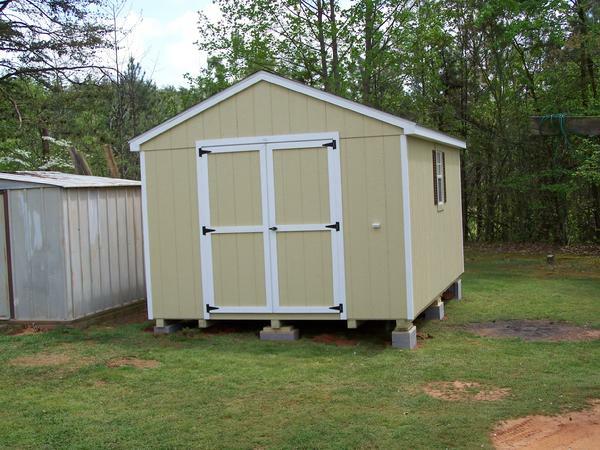 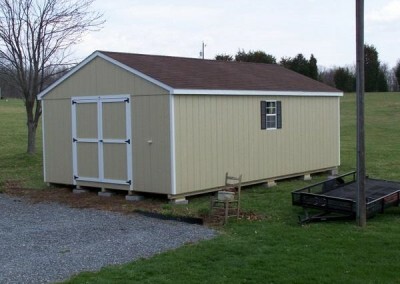 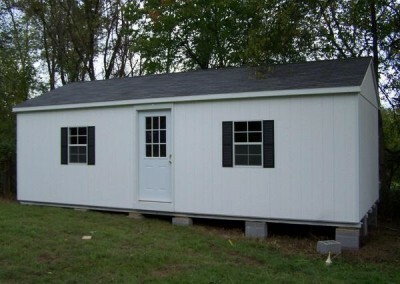 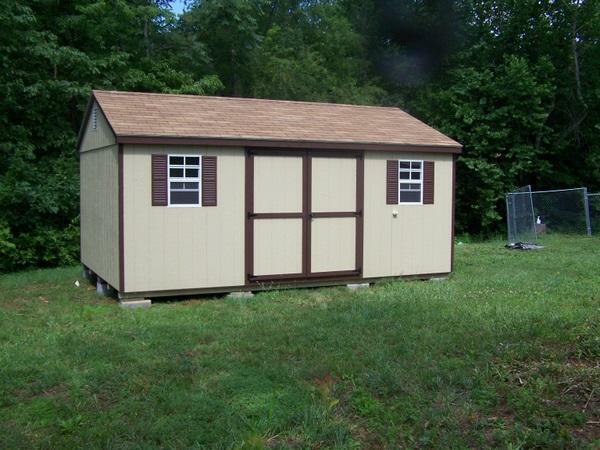 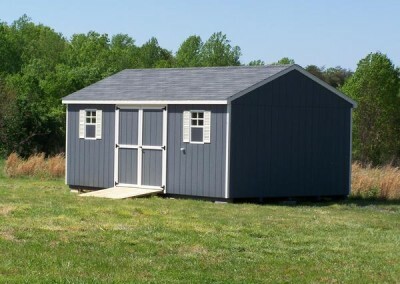 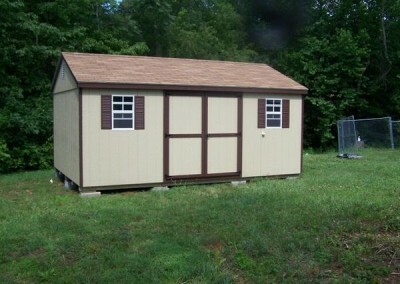 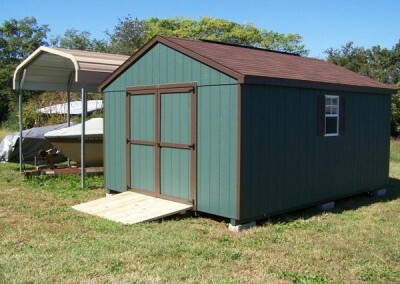 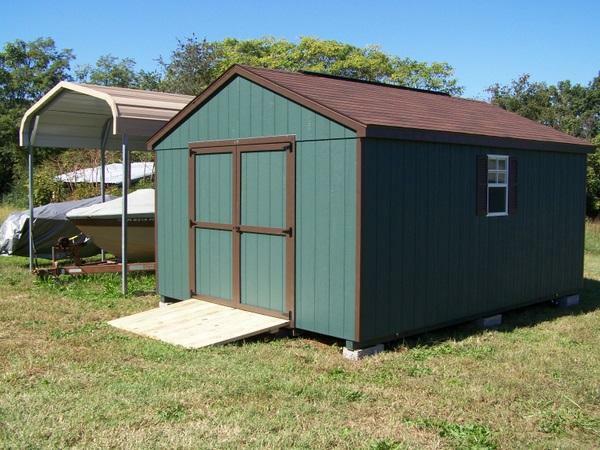 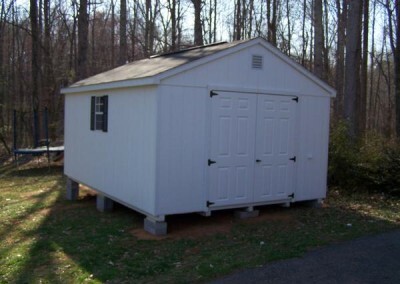 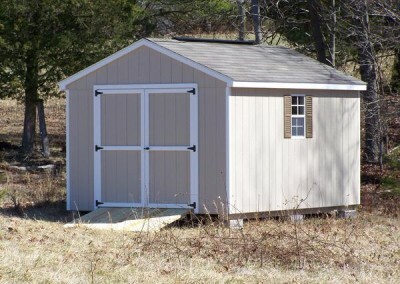 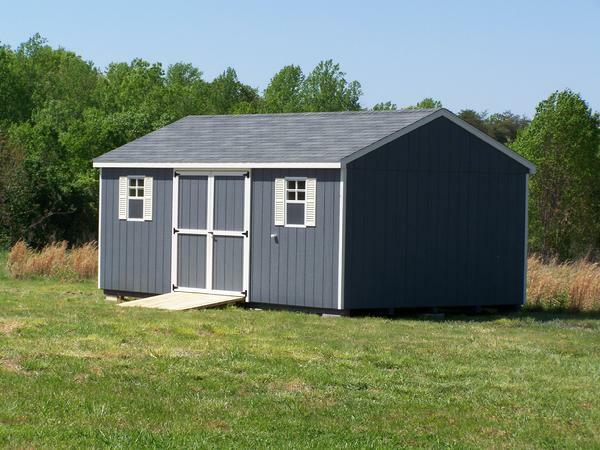 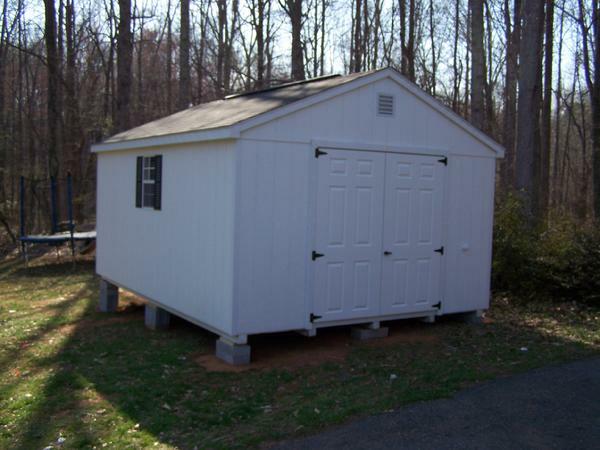 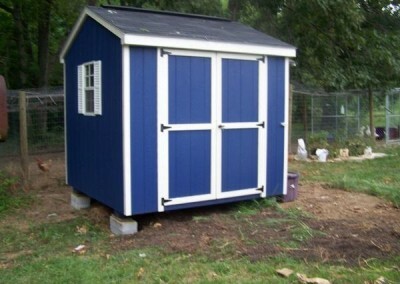 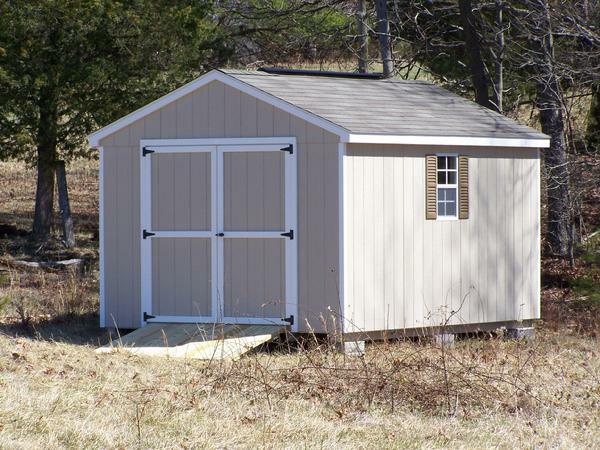 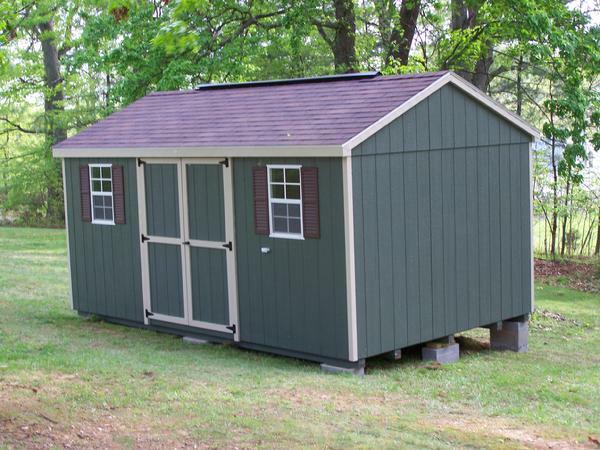 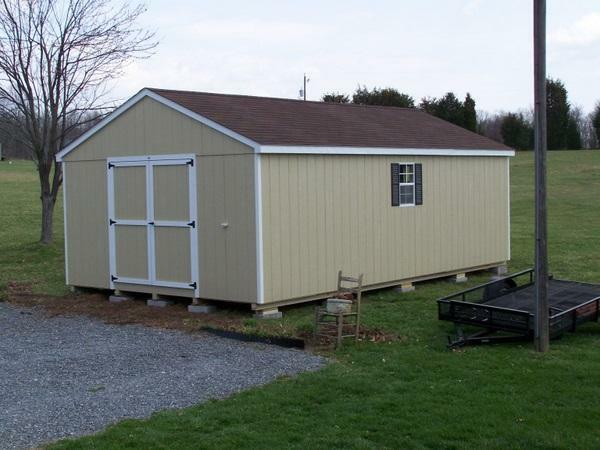 A blue painted 8×8 shed with white trim. Shed has a set of double doors and a window with white shutters. 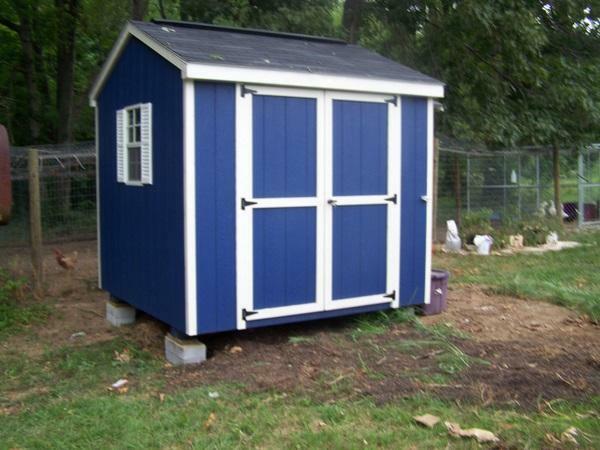 The roof is a-roof style and is shingled.